Rob Scargill has over 30 years of experience in the global mining sector, in minerals as diverse as base metals, precious metals, sodium bicarbonate and lithium. He is a qualified Mining Engineer and has managed exploration teams, mineral processing teams in addition to holding CEO roles on both Toronto Stock Exchange and Australian Stock Exchange publicly traded companies. Rob has been intimately involved in starting or reopening six mining operations, as well as leading major expansions at three other operations. Rob has 20 years of experience in underground mining which ideally suits him to the development of the Black Butte underground copper project in Central Montana. 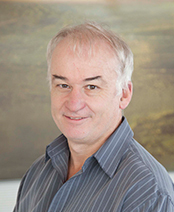 Mr. Fitzgerald is an Australian Chartered Accountant with extensive experience in the resources industry. 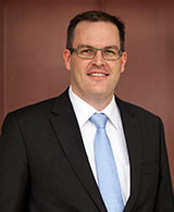 He began his career in the Assurance and Advisory division of KPMG, before joining Australian Stock Exchange listed Kimberley Diamond Company NL in 2003, where he held the position of Chief Financial Officer and Director until July 2008. Alan is a Montana native with a family history in the state dating back to territorial days. He grew up in Choteau, Helena, and Missoula, graduating from Hellgate High School in Missoula. After receiving his law degree from the University of Montana, Alan served as counsel for the Montana Department of State Lands (now Department of Natural Resources and Conservation) then established a solo law practice before joining the Gough, Shanahan, Johnson and Waterman firm in Helena. During his thirty-three years with the Gough Shanahan firm, Alan emphasized natural resources and environmental law, and developed significant administrative law, litigation and public policy experience representing mining operations throughout the state. He served as Chair of the Montana Board of Personnel Appeals (public sector labor relations board) and as a member of the Montana Board of Labor Appeals. Upon retiring from the private practice of law, Alan served as Chief Deputy Attorney General for Attorney General Tim Fox, retiring from the position in 2017. 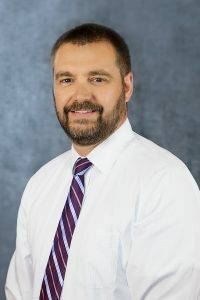 Chris currently serves as the Senior Vice President and Chief Loan Officer for Bank of the Rockies, N.A., a community bank having 6 branches throughout Montana. 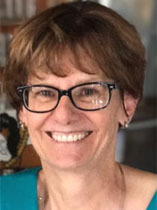 She is responsible for bank wide lending training, policy development, underwriting standards and their implementation, lending compliance, loan quality, adherence to policy, development and proper completion of loan presentations and supporting credit analysis.